Views | Is the &#8216;Rahul effect&#8217; wearing off? Views | Is the ‘Rahul effect’ wearing off? 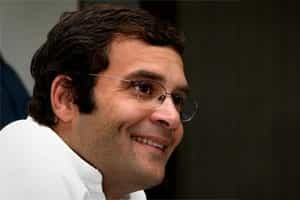 Rahul Gandhi seems to have been spending all his time in Uttar Pradesh, giving the current Lok Sabha session the go-by. But a recent opinion poll conducted by a news channel shows the Congress-Rashtriya Lok Dal alliance a distant third behind the Samajwadi Party and the Bahujan Samaj Party, with the Bharatiya Janata Party neck-and-neck with the Congress. Rahul has spent nearly five years now trying to shore up the Congress’ fortunes in UP, but is he getting anywhere close to target? In the process, he has kept himself distanced from every controversy or scam that has hogged the national headlines in the last year or so. He has been completely silent on the 2G scam. On the Lokpal fracas, he entered the issue very late, and his contribution ended with a single speech in Parliament. Though he himself called his speech “a game-changer", the game showed no signs of any change and matters have proceeded as if Rahul never voiced his opinion. About two years ago, the weekly magazine I used to work for had commissioned a poll in UP with a fairly large respondent base, trying to actually measure “the Rahul effect" that was on everyone’s lips then. The results were stunning. If elections were held that day in the state, the Congress would have got more than twice the number it had garnered in the last Lok Sabha polls. “The Rahul effect" was staring us in the face. There was no reason to doubt the veracity of the results, because we had also sent out several correspondents all over the state to talk to the average voter—both urban and rural—and check the mood at a deeper level than mere numbers generated through a structured questionnaire could indicate. Our reporters came back with the same story: the voter loved Rahul, his common touch, and they saw in him a harbinger of change. What has gone wrong since then? How did he lose his sheen? One can sense it in the media coverage too; his statements no longer make the front pages or feature among the lead items of TV news –other than the odd occasion when he comes out in favour of retail FDI. The manner in which he has disassociated himself from the government at the centre may be the right strategy in his opinion, and in the opinion of his advisors, but the clear distinction he is making between party and government may be confusing to the mass electorate. It is also certain that the Congress will never project Rahul as its No 1 leader unless it is absolutely sure of a Lok Sabha victory—and is in an un-challengeably dominant position in the alliances it forms. Therein lies the dilemma: if Rahul Gandhi is going to be the principal vote-getter in the next elections, he can hardly keep talking in generalities and weaving dreams for the poor while his own party is in power. The distance he has carefully been maintaining from specific issues may have already started to erode his appeal, and even his relevance. At some point, Rahul Gandhi has to prove that he is not only the big-picture campaigner, but also has what it takes to manage this strange and vast nation. If he continues to wash his hands off the government his party is leading, “the Rahul effect" will only get weaker.